Reinhard and Stephanie called us when their torsion spring broke and they were unable to open or close their garage door. Since their existing door was over 25 years old, it would be costly to get the parts to fix it. Given the door was already very old, they decided it made sense to buy a new door. This would get them better function, and allow them to update their curb appeal with a new style. The door is glass with a black aluminum trim. It is a Clopay door, from their Avante collection. The glass is frosted and the frame is a black anodized aluminum. The exterior of their home was completely transformed! 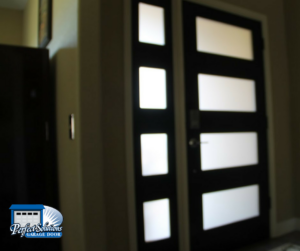 They quickly realized that their traditional front door no longer matched their new bold garage door choice. They decided to upgrade their entry door as well to compliment their new exterior look. 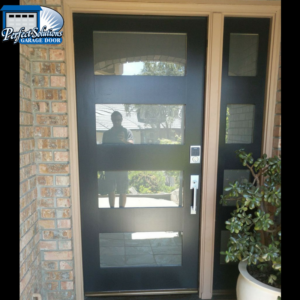 They ended up choosing the Contemporary Thermal 7404 model entry door by Simpson Door Company. 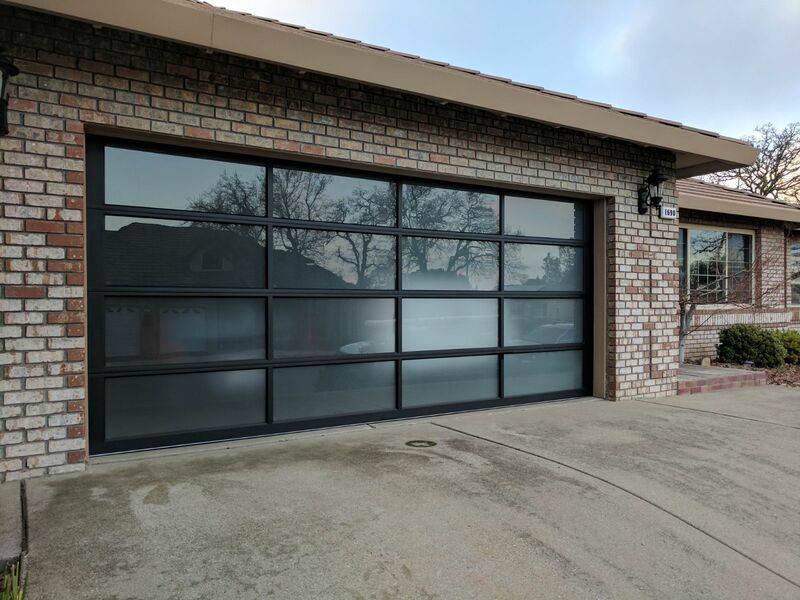 The glass in the entry door matched the garage door, and we requested the entry door be painted black to match the garage door frame. If you live in the Auburn, Roseville or Greater Sacramento area, give us a call! 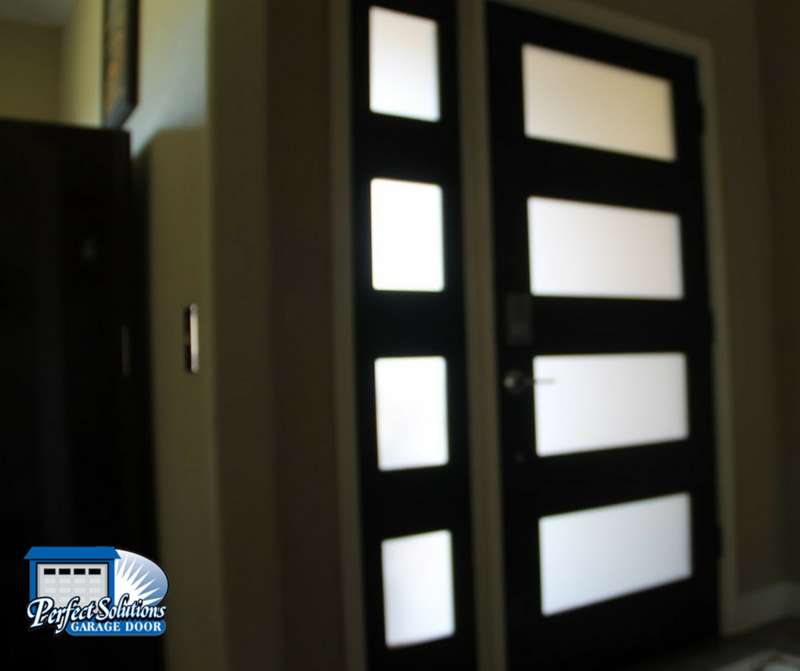 We don’t do just garage doors, we do all exterior doors for your home including front entry, rear entry and side entry doors. Purchasing and installing entry doors that match or compliment the style and design of our garage doors is a great way to really give the exterior of your home an upgrade! Just ask Reinhard and Stephanie! They are so happy with their beautiful new doors. It looks great from the outside, and the front entry door is enjoyed from the inside as well!